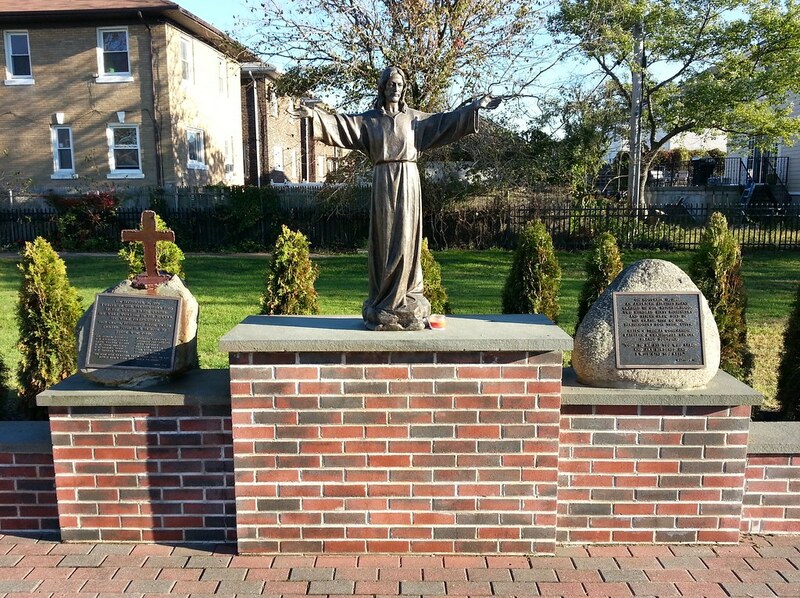 This is located in the prayer garden of St. Francis De Sales Church. The plaque on the left and the cross above it, made from World Trade Center steel, are dedicated to the victims of 9/11, twelve of whom were parishioners here. The plaque on the right commemorates the lives lost, including those of five more parishioners, in the crash of American Airlines Flight 587.